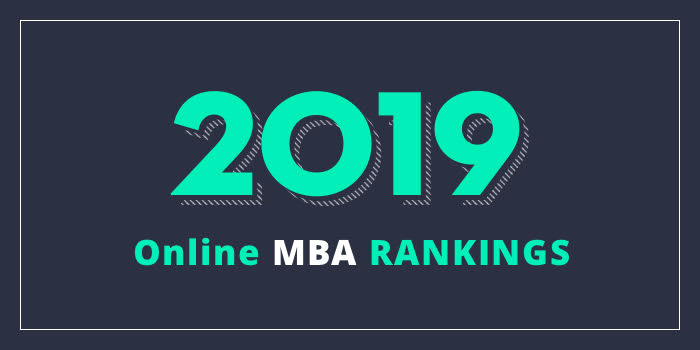 Our 2019 ranking of the Top Online MBA Programs in Kansas. For an explanation of ranking criteria, click here. The School of Business at University of Kansas (KU School of Business) offers an AACSB-accredited MBA program that may be completed entirely online. There are no residency requirements. The program consists of 30 credits of core business classes and 12 credits of focus area courses for a total of 42 credit hours. Courses are eight weeks each, and three focus areas are available including Finance, Management & Leadership, and Marketing. The Finance focus area requires four courses including Advanced Topics in Finance, Corporate Finance, Financial Institutions and Markets, and Investments. Management & Leadership requires Developing Effective Management and Team Skills, Leadership Philosophy and Practice, Managing Internationally, and Strategic Organizational Design and Change Management. The Marketing focus requires Consumer Behavior, Digital and Social Media Marketing, Global Marketing, and Integrated Marketing Communications. With three start dates per year (spring, summer and fall), the KU School of Business Online MBA may be completed in just over two years. The College of Business Administration at Kansas State University (K-State CBA) offers a Professional MBA (PMBA) that may be completed online. The program has just one required 2-day on-campus orientation that includes team building, networking and professional development components. An optional faculty-led international trip is also part of the program as well as the Professional Development and Learning Seminar. Per the school, the Online PMBA is a “high-quality, interactive program” that allows students to work at their own pace and integrate examples from their own professional experience within each class. Courses for this AACSB-accredited program are “taught by the same qualified professors who teach graduate courses on campus in Manhattan, Kansas.” Students will take a total of 36 credit hours or as few as 30 depending on previous undergraduate coursework. Course highlights include Business Strategy, Economic Analysis for Business, Information Technology Strategy and Application, Managing the Triple Bottom Line Business, and Operations and Supply Chain Management. Students will also complete a Business Capstone during the second eight weeks of the fall and spring terms and during the 8-week summer term. The Business Capstone allows students to apply what they’ve learned to a final project. The W.R. and Yvonne Robbins College of Business and Entrepreneurship at Fort Hays State University (FHSU) offers a 34 credit hour MBA program that may be completed entirely online. The school says that the “core curriculum supports the most important aspects of business” and a range of “career-relevant” concentrations are available. Options include Corporate Communication, Digital Marketing, Finance, Health Care Management, Health and Human Performance/Sports Management, Human Resource Management (HRM), Information Assurance, International Business, Leadership Studies, Management Information Systems, Marketing, and Tourism and Hospitality Management. Students must choose nine credit hours of electives to complete a concentration and they have the option to enroll in the General MBA with no concentration. Other program highlights include foundation courses that prepare students without a business background for the MBA coursework, engaged career placement assistance and career counseling, and a personal, full-time advisor. Students may complete the program on a full- or part-time schedule. FHSU is accredited by the Higher Learning Commission (HLC) of the North Central Association of Colleges and Schools.